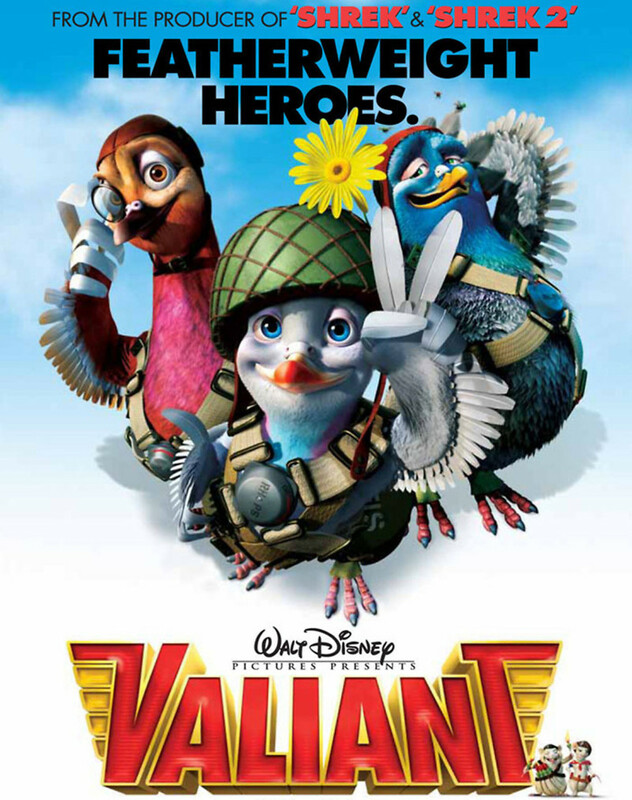 Valiant is a wood pigeon living in England during the second World War who signs up to serve as a homing pigeon after being swept up in the English war propaganda. Along with a company of friends, Valiant is put through rigorous training to fly for England's Royal Homing Pigeon Service. On their way to get a message that must be delivered, the group's plane is embroiled in a nasty dogfight and they are forced to bail out. Their luck only worsens when they are attacked by a fearsome German falcon named Captain Von Talon and his bumbling henchman. The valuable message is lost and the pigeons must fight to retrieve it. Their journey ultimately comes full circle and the final showdown between Captain Von Talon and Valiant happens at the cottage where he grew up.